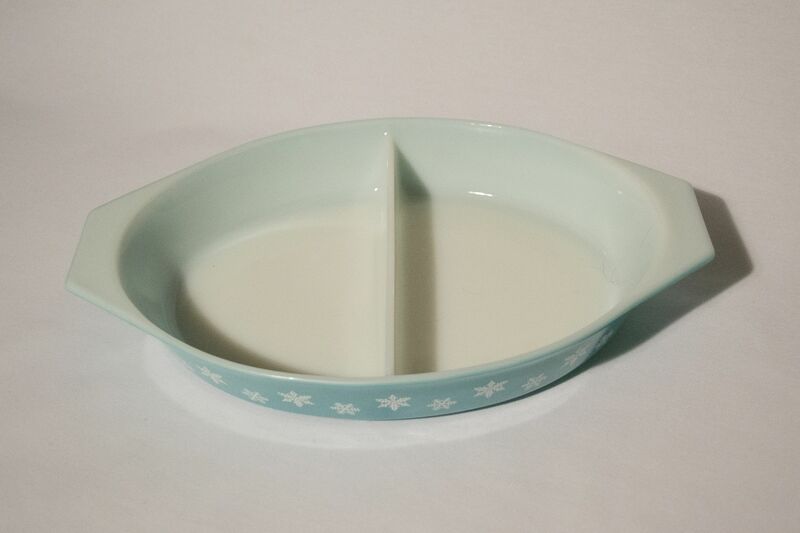 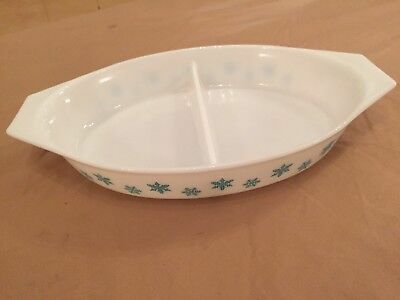 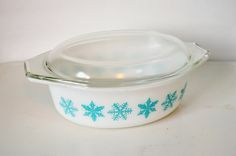 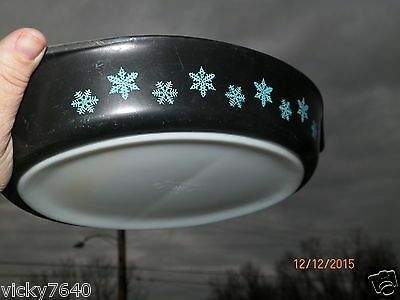 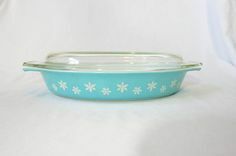 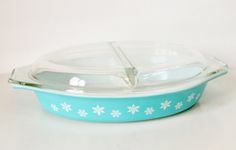 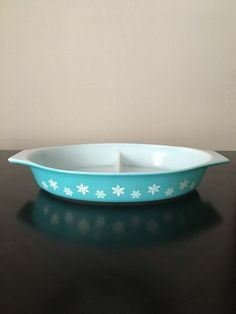 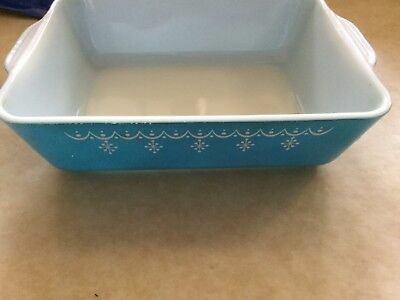 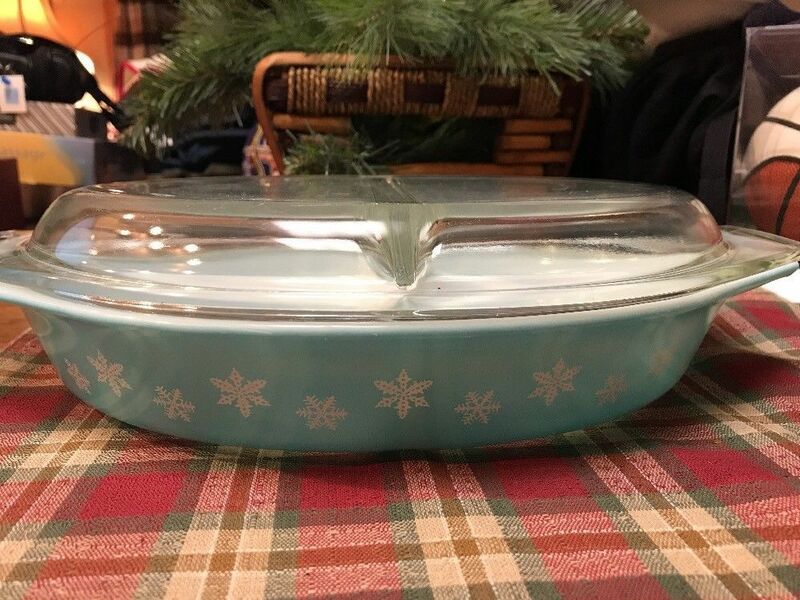 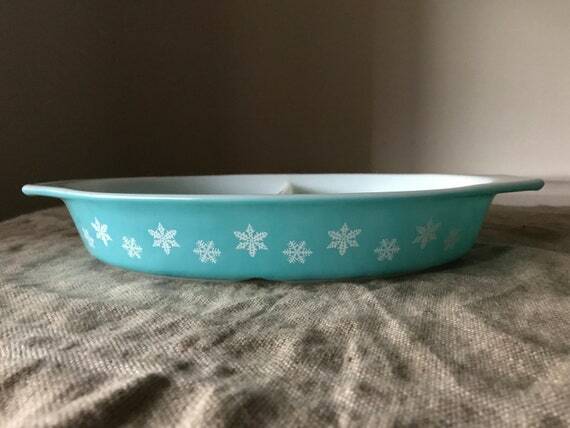 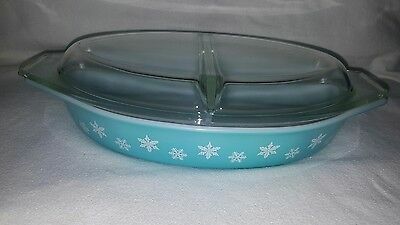 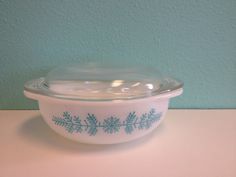 Pyrex Turquoise Blue Snowflake 1-1/2 Quart Divided Dish With Kid! 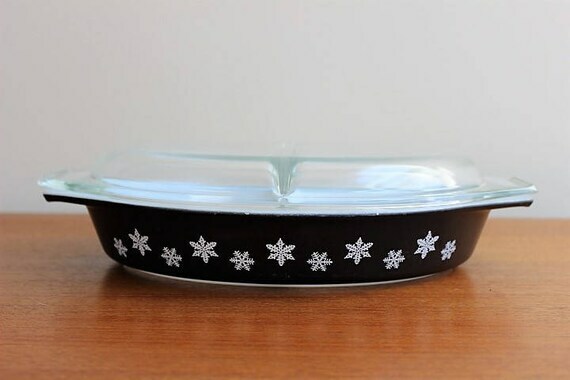 Vintage 1950s JAJ Pyrex Charcoal Black Snowflakes Divided Oval Casserole Dish 1 1/2 Qt. 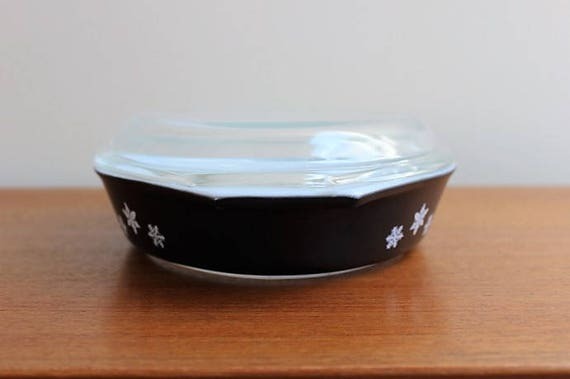 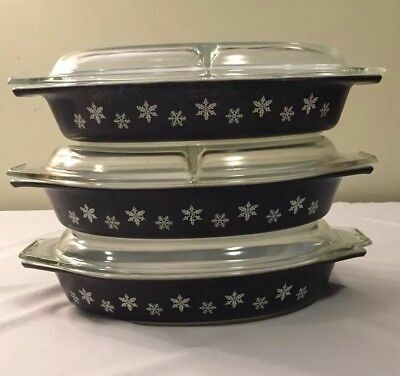 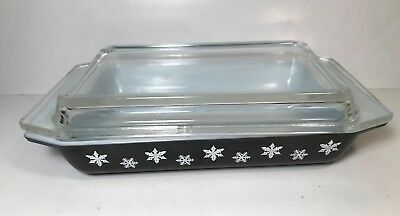 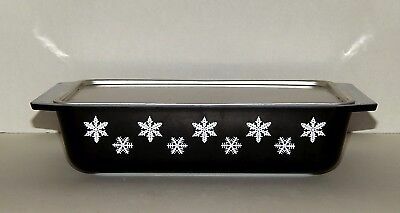 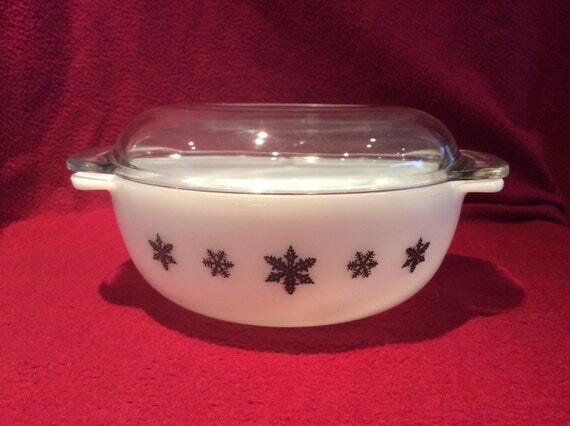 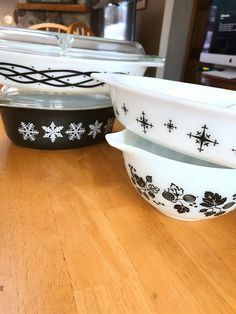 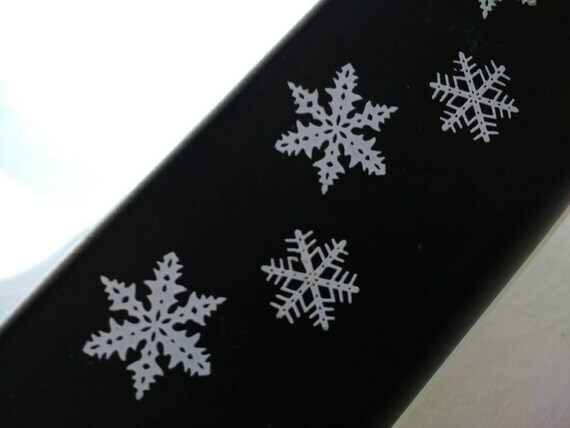 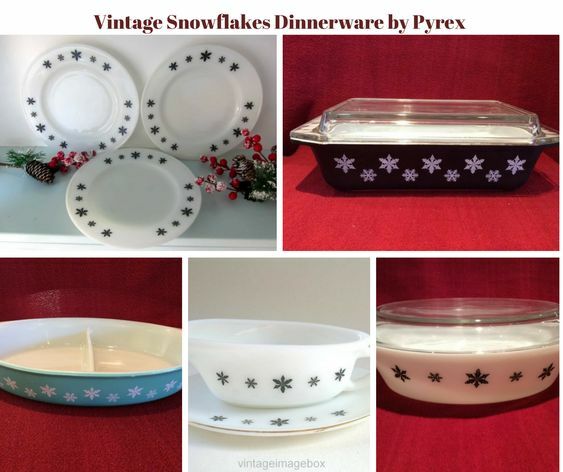 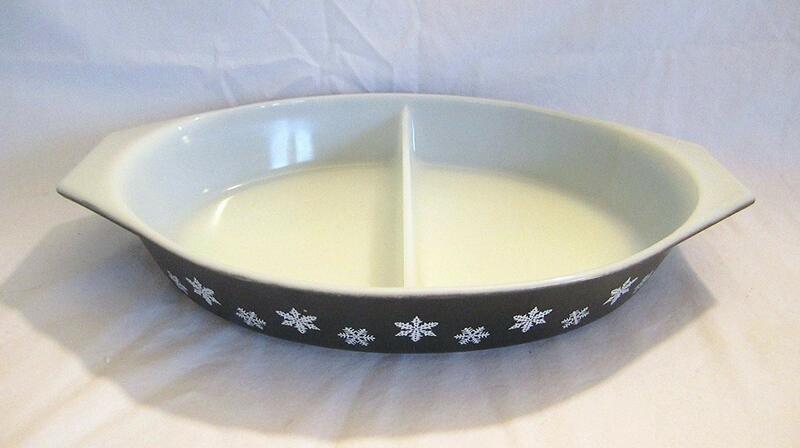 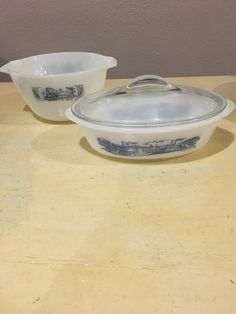 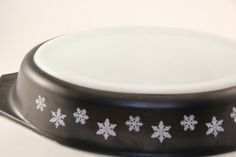 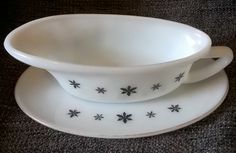 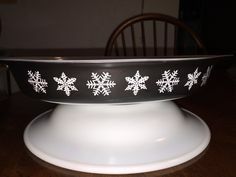 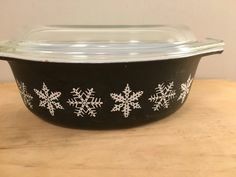 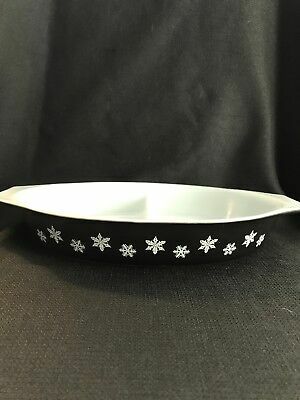 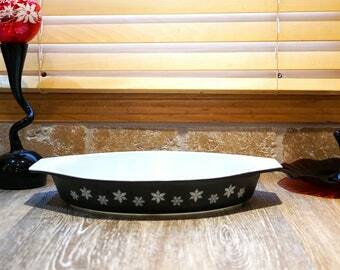 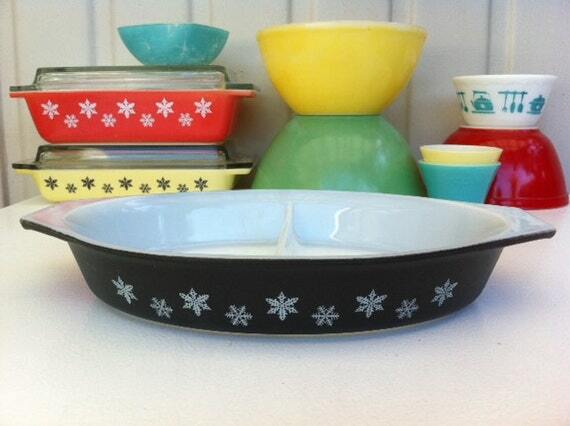 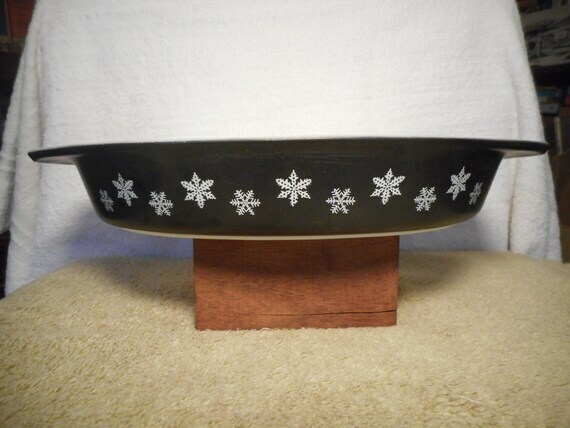 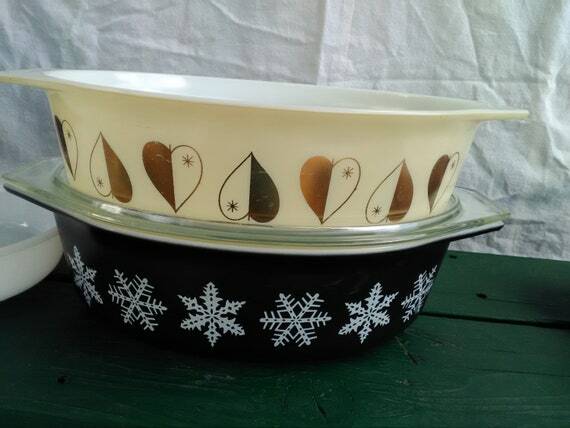 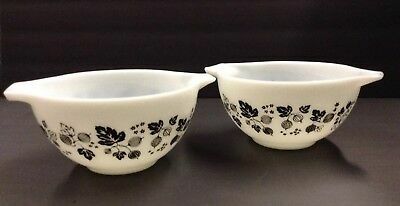 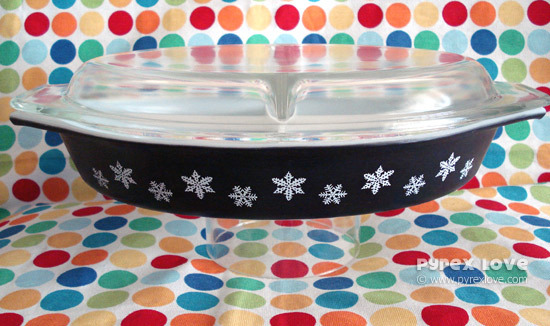 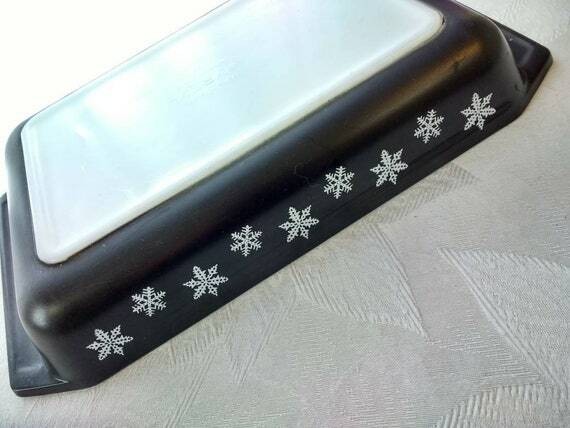 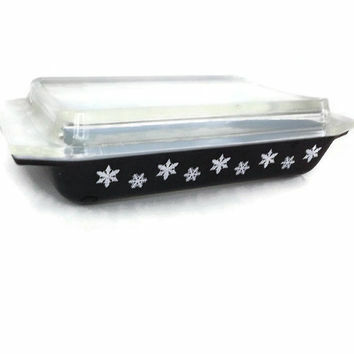 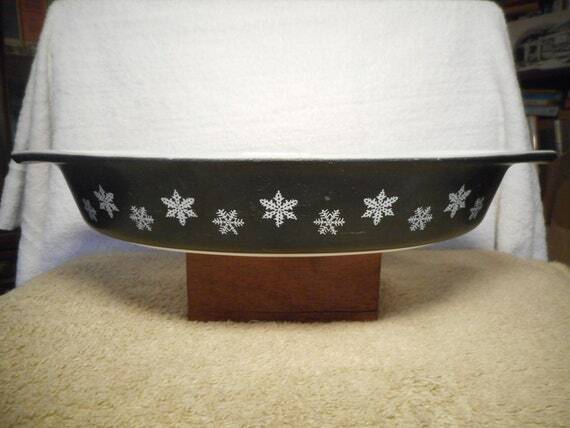 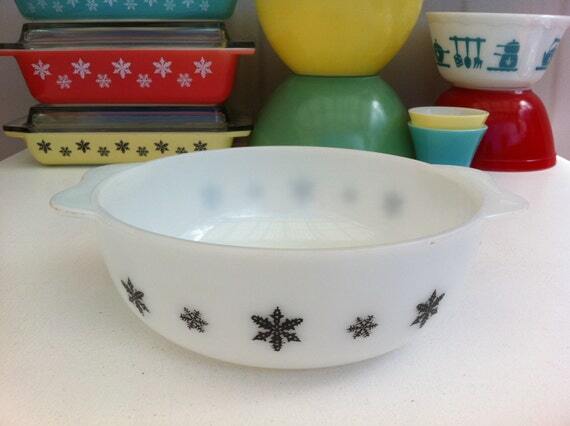 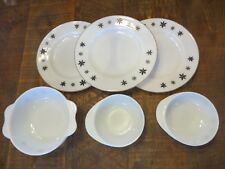 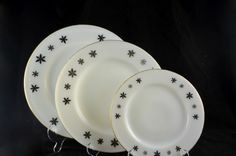 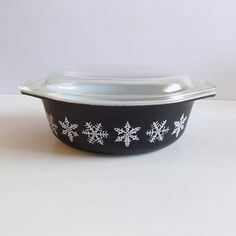 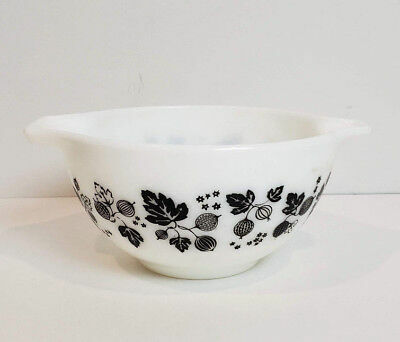 Pyrex* Black w/ White Snowflakes With Lid #575 And Vintage Holder! 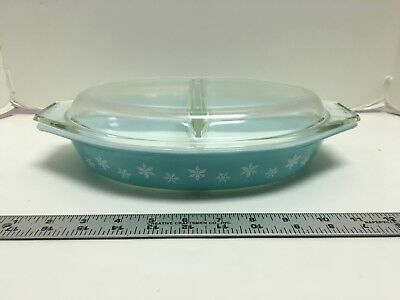 Vintage PYREX Blue Snowflake 1 1/2 Qt Divided Serving Dish with Lid LOOK! 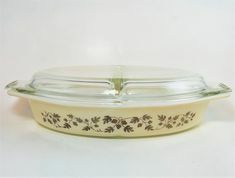 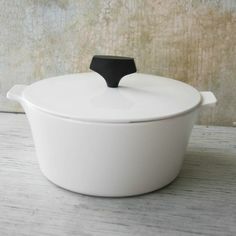 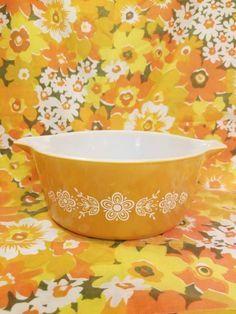 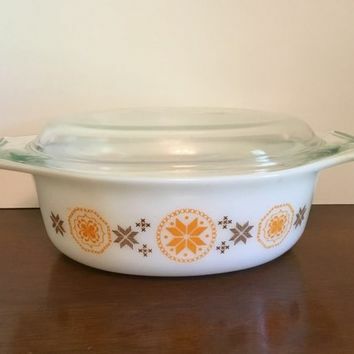 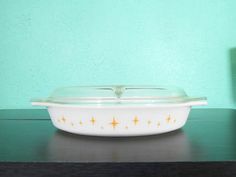 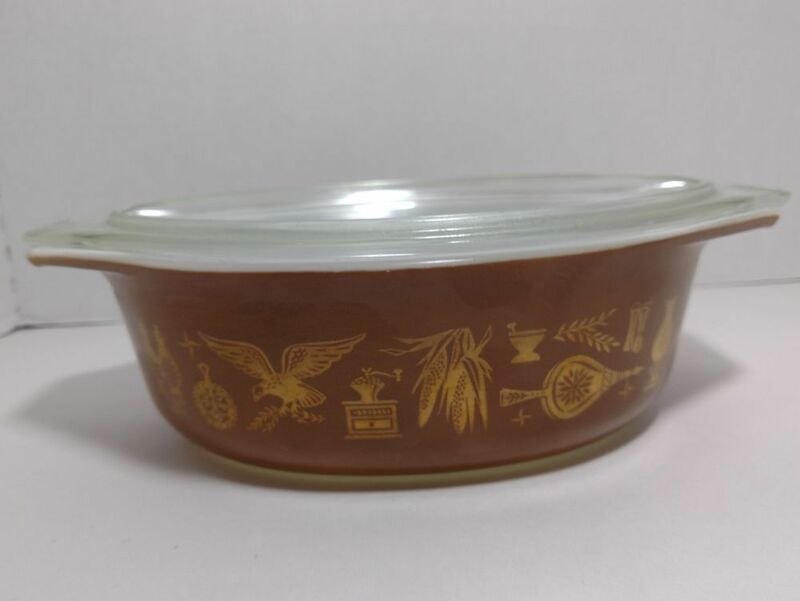 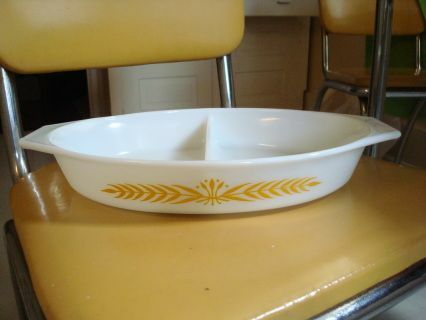 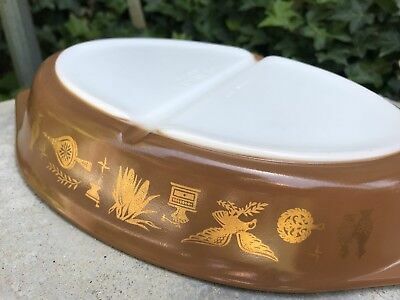 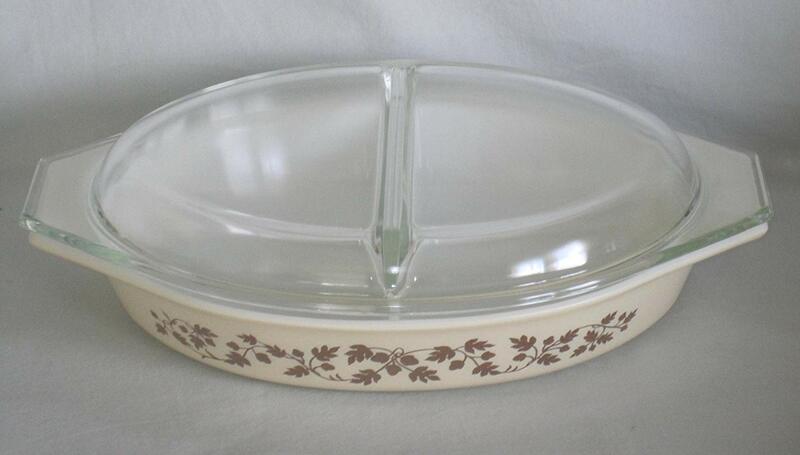 Vintage Pyrex Divided Casserole Dish in Royal Wheat. 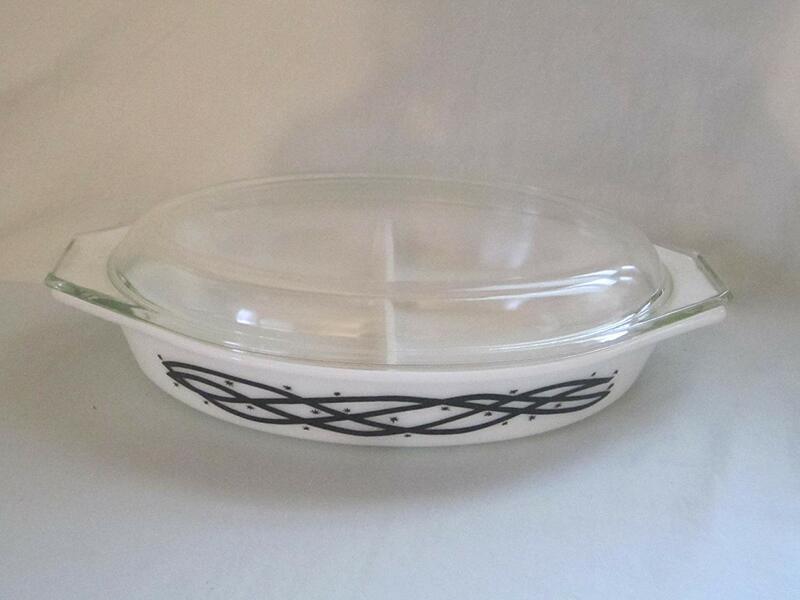 This dish is bright white with a yellow gold wheat pattern on both sides of this divided dish. 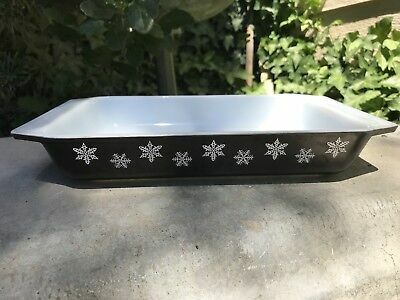 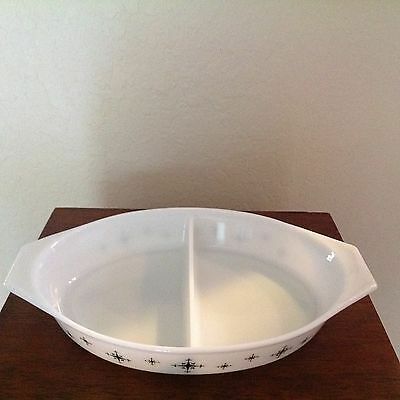 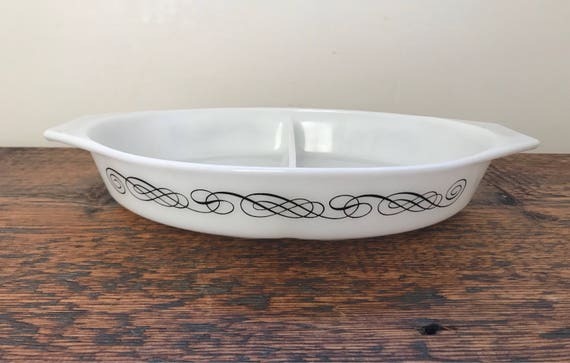 Vintage Pyrex Dish, #32, 1 1/2 qt. 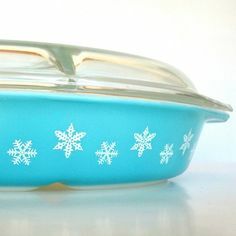 Blue snowflake. 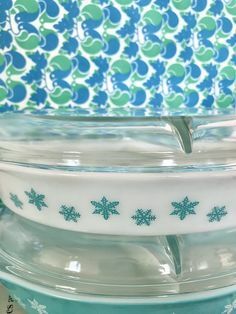 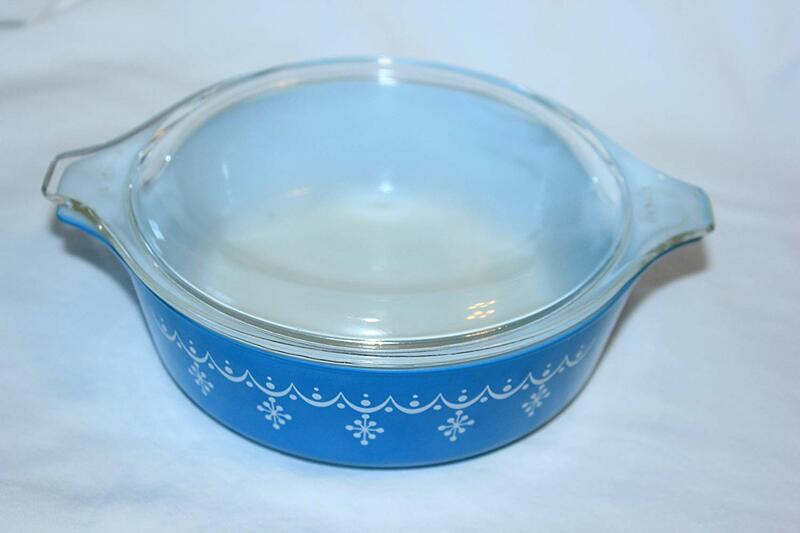 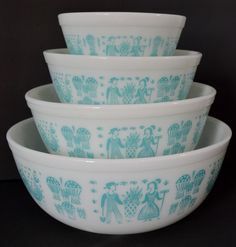 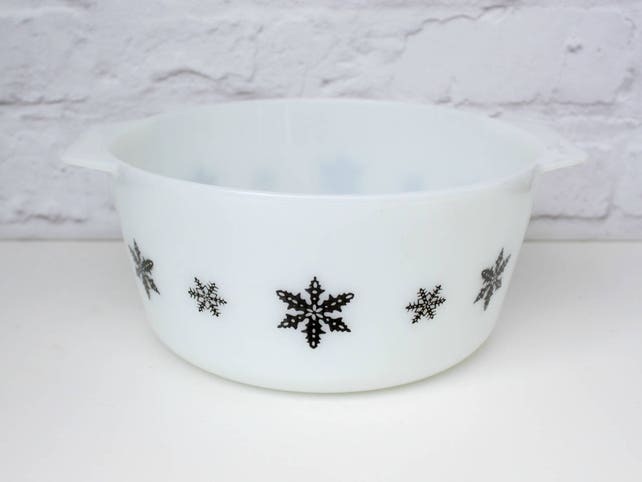 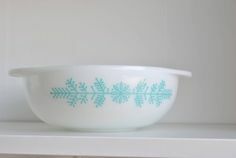 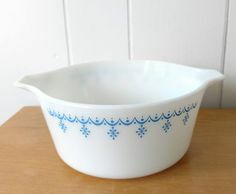 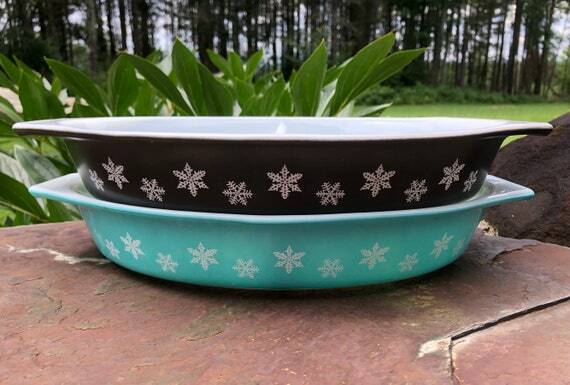 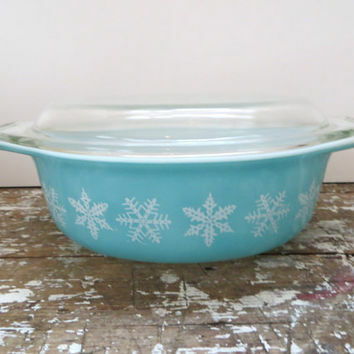 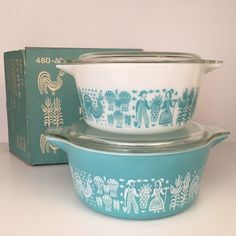 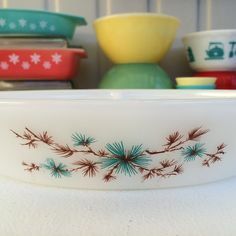 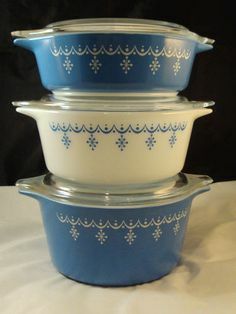 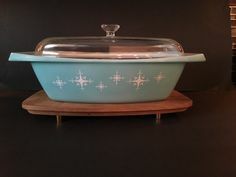 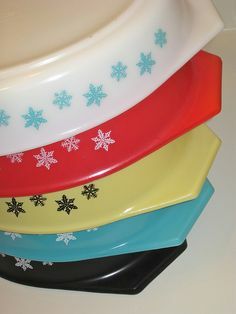 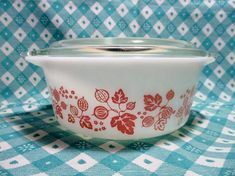 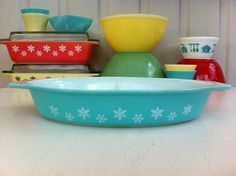 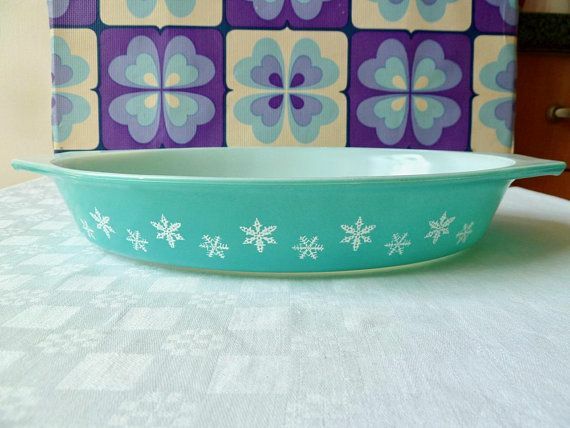 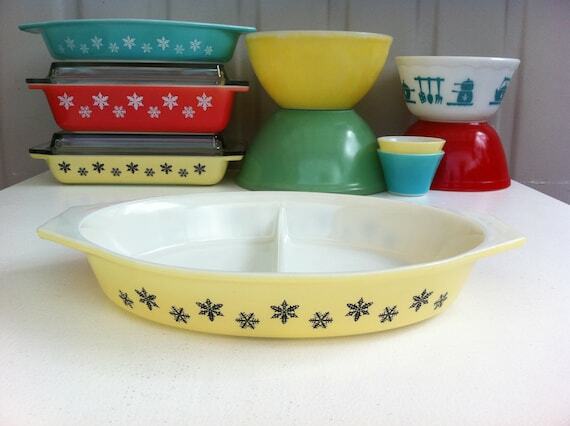 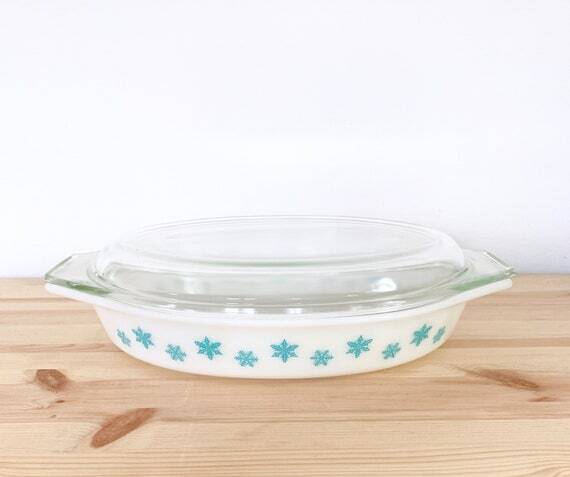 Here is a beautiful vintage Pyrex in the blue snowflake garland pattern. 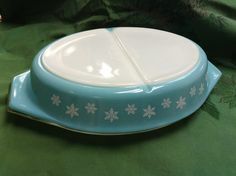 This is 474 and holds 1 quart Made in U. 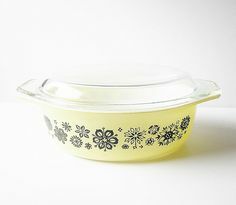 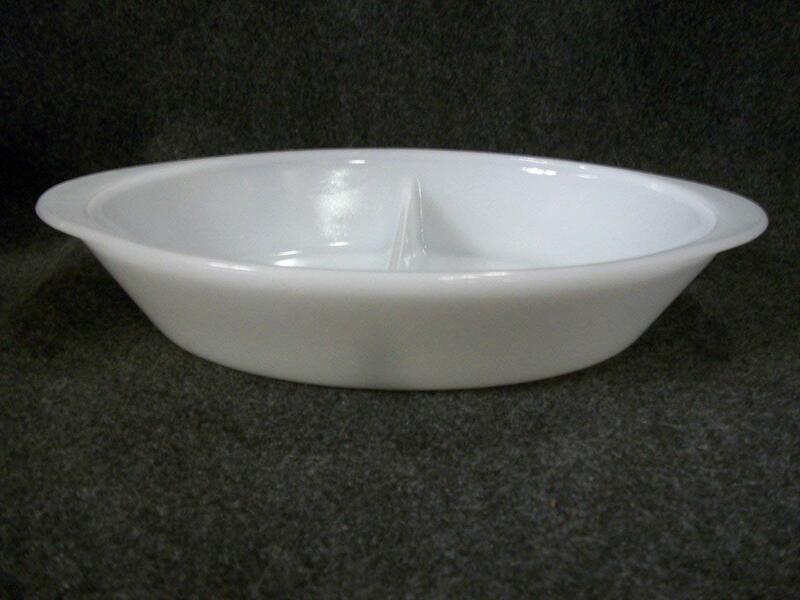 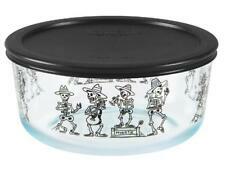 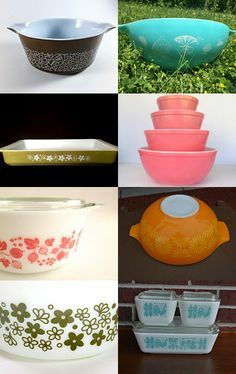 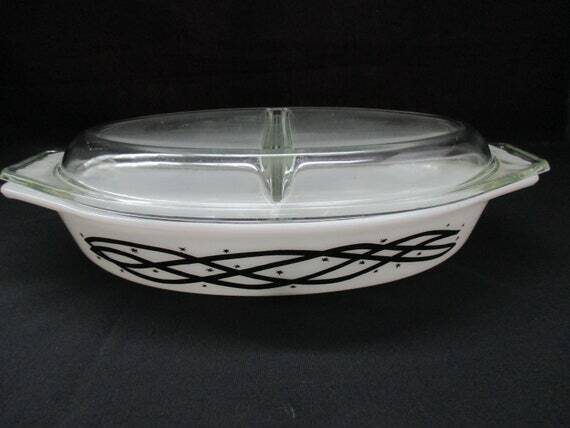 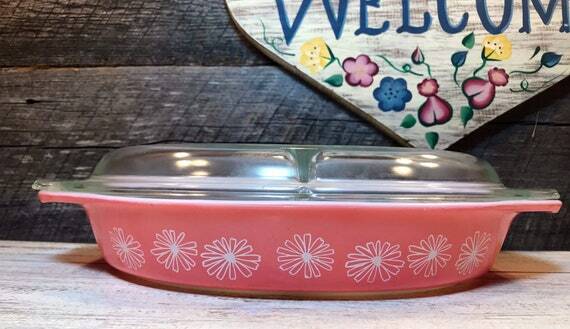 This Glasbake pyrex divided dish is a charming piece of kitschy Mid-Century kitchenware!